This site focuses on photographs of the environment——be it the agricultural environment of people and produce at farmers' markets; the community environment of architecture or landscapes; the social environment like a child's wonder of the world. 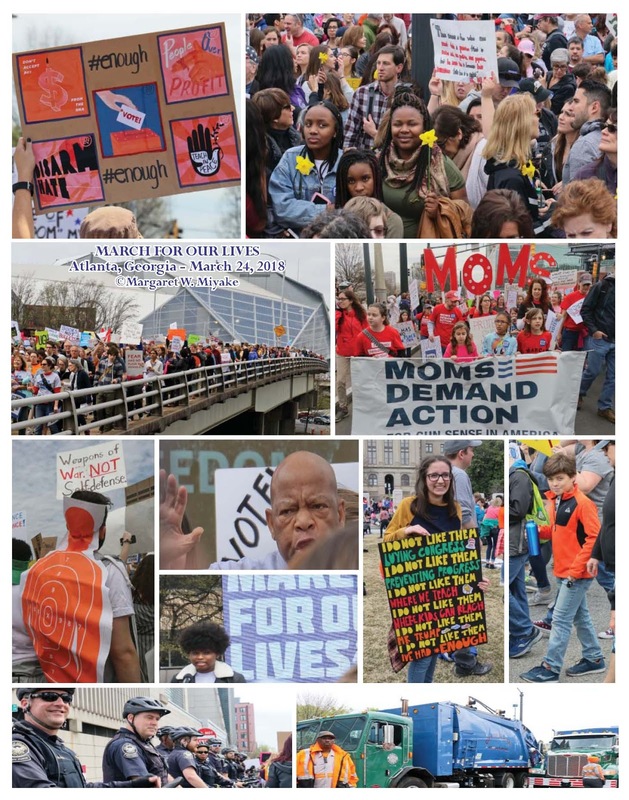 MARCH FOR OUR LIVES, organized by the young whose lives are most affected by gun violence in schools, on streets and in neighborhoods, drew more than 30,000 protesters in Atlanta, Georgia, to support them. I joined the march to photograph and protest, walk with my daughter-in-law and grandson who participated in his first protest march. Why are Guns more Important than Our Kids? "On March 24, the kids and families of March For Our Lives will take to the streets of Atlanta, GA to demand that their lives and safety become a priority. The collective voices of the March For Our Lives movement will be heard. when they should be learning, playing, and growing. The mission and focus of March For Our Lives is to demand that a comprehensive and effective bill be immediately brought before Congress to address these gun issues. No special interest group, no political agenda is more critical than timely passage of legislation to effectively address the gun violence issues that are rampant in our country.